After giving birth, I was delighted to find that I dropped 20 lbs right away. I had gained roughly 60 lbs during my pregnancy. Because of my starting weight, my ideal weight gain should have been between 28 - 40 lbs. 60. Yikes. But because I lost so much so soon, I'm pretty sure I was packing on a lot of water weight towards the end. Also, my face looked a lot less puffy within two days of giving birth. 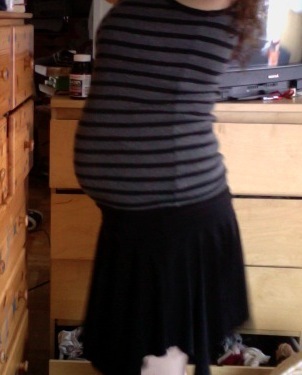 My belly was a wrinkled blob and I was covered in stretch marks. A bundle of baby is worth it. Six months later, I still have stretch marks, but the pouch isn't so bad. Below you'll find some pictures of me as I track my weight loss. Keep in mind I did absolutely nothing to aid this weight loss. No dieting, no exercising. Just a whole lot of baby rearing and novel writing. 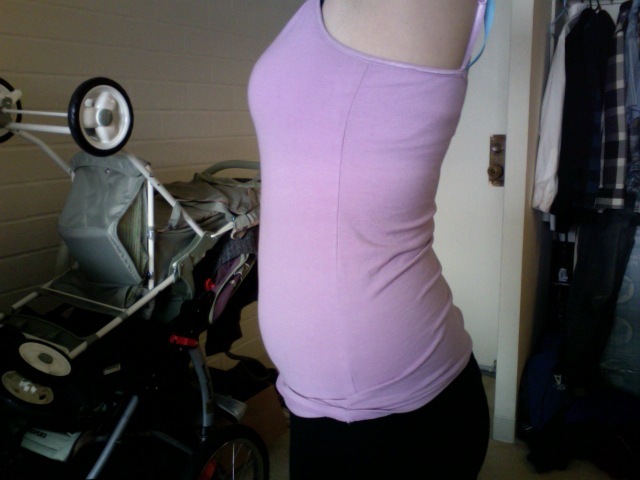 Am I close to my pre-baby body? Eh, I'm getting there. What you don't see is that I've gained weight in my arms too, and that's turning out to be a stubborn area. 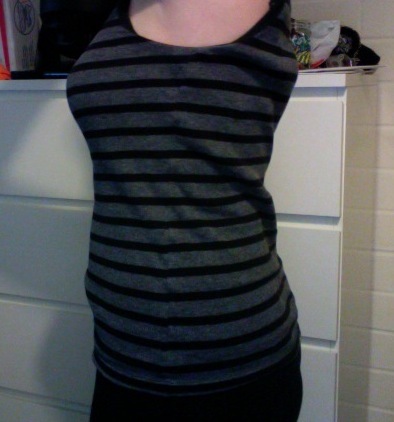 Some people would argue I was too thin before anyway. 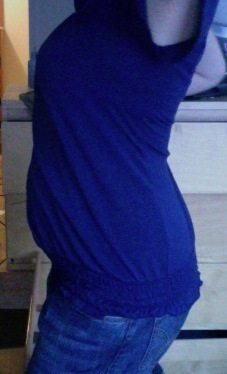 My goal at this point is to get as close to my pre-baby body as I can before I have baby #2. 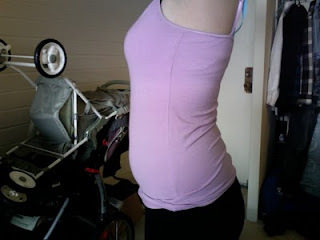 With my second baby, I hope to stay within the recommended weight gain range so that I have an easier time shedding the pounds. Really, my main concern is back problems. 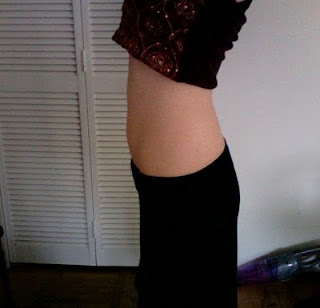 You gain most of your pregnancy weight in the last trimester, and 60 lbs is an awful lot for a body to put on at once. 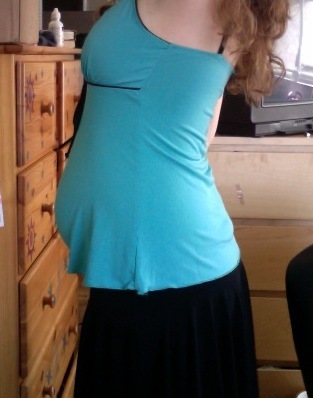 The curvature of my back changed and my back is still a bit out of sorts. I need to start exercising to strengthen my lower back muscles.